The National University of Malaysia (UKM) is inviting applications for admission to graduate programmes offered. Intake for the course work mode and mixed mode programmes are open twice a year, which is every October until November (for the next year February intake) and every April until May (for the September intake). Application for research mode programmes can be made any time throughout the year. THE APPLICATION FOR SEPTEMBER 2019 INTAKE FOR COURSEWORK AND MIXED MODE PROGRAMME WILL BE OPEN STARTING 3 APRIL 2019 TO 31 MAY 2019. 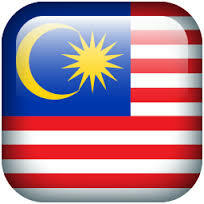 All prospective international students must apply for the visa with reference prior to entering Malaysia. Please be aware that this may delay your departure time to Malaysia. Please refer to the International Student Services Division website (http://www.ukm.my/pha/) for assistance in the application of your visa with reference. Application for course work mode program under Faculty of Information Science and Technology (FTSM), Faculty of Engineering & Built Environment (FKAB) & all international candidate of Medicine must apply via https://smp.ukm.my/espeed/ as this program offered under Centre of Educational Extension. Applicants are required to register via this system using the Identity Card/Passport Number, Password and Email address. Applicants are advised to check the list of programmes offered before make the application. Applicants need to click the 'SEND' Button to submit an application before the dateline specified. Applicants DON'T HAVE to send any documents by post after submitting the application through this online system. An application fees is not refundable under any circumstances or whatsoever. Applicants are required to check the status of application through this system within sixth (6) to eight (8) weeks after closing date for course work and mixed mode programs and within four (4) to six (8) weeks for research mode programs. * Only for accounts created after 3 April 2019. The National University of Malaysia.